With the recent signings of Zlatan Ibrahimović, Henrikh Mkhitaryan, and Eric Bailly, Mourinho has a lot to think about when deciding which players to field and in what formation. The new Manchester United boss has inherited a squad that has been flooded with a quarter of a billion dollars of players in the last 3 years. 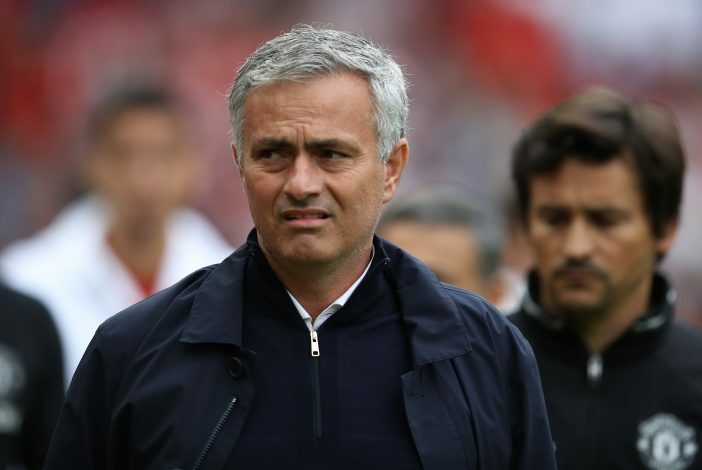 Jose Mourinho now faces the tough decision of which players to field and which players to axe. Mourinho has been known to play with a solid and structured formation, favoring the “park the bus” tactic – this involves playing defensively after taking the lead. This method is praised for its effectiveness, but is usually frowned upon for its boring and cowardly style of playing. Mourinho showcased his defensive tactics during his time at Chelsea, making “park the bus” his trademark tactic on the pitch. With the arrival of the new boss at Manchester United, it remains uncertain whether he will try and adopt this tactic on his newly inherited squad. The Old Trafford crowd has grown accustomed to a quick, tenacious, and exciting style of football. Manchester United’s style of play has been sculpted over the past decades by Sir Alex Ferguson – a man who the Old Trafford faithful still miss dearly. One thing is for sure, Mourinho wants results at all costs. And with the wealth of world class players that Jose Mourinho has, there are several different formations he could experiment with. Manchester United played with a 4-4-2 style formation under Sir Alex Ferguson, although Wayne Rooney adopted a more central role – playing as a second striker, behind the first. This 4-4-2 formation puts Wayne Rooney alongside new signing Zlatan Ibrahimović, as they are both more than capable of finding the back of the net. “You can tell me his pass is amazing, but my pass is amazing too without pressure. Maybe he’s not a striker anymore. Maybe he’s not a No.9 anymore, but he will never, with me, be a No.6. He will never be 50 meters from the goal. For me, he will be a No.9 or a No.10 or a nine-and-a-half, but with me, he will never be a No.6 or even a No.8” – showing us that we should expect to see Rooney playing in a more attacking role, as a striker or a number 10. This 4-4-2 formation would go well up front, with Rooney’s ability to assist Zlatan and vice versa. The pair has the potential to make a superbly formidable partnership. Latest Manchester United signing, Henrikh Mkhitaryan, assumes a right midfield role in this formation. This is to accommodate Bastian Schweinsteiger and Morgan Schneiderlin in the central midfield – a role that involves a more defensive approach. Henrikh and Memphis on the wings should be enough to assist Rooney and Zlatan, although Memphis has endured a rocky start to his Manchester United career. But, Jose Mourinho should be able to rectify the problem, or he would have to buy a new winger in the next window. In defense, we put Bailly and Smalling as the two central midfielders. The new signing will be able to put a plug in the hole that existed in the defense after Marco Rojo was forced to play as a fullback due to the injury to Luke Shaw. Smalling had an immense season under Louis Van Gaal, and has shown the United fans just exactly what he is capable of in the back. This formation hasn’t made use of Anthony Martial and Marcus Rashford, although the two youngsters will be second in line for the striking role – as Zlatan and Rooney are bound to get tired at some point. This more conventional 4-3-3 formation is the most widely used in football today – with Real Madrid, Barcelona, and PSG all using variations of it. Zlatan is accompanied by two wingers, who are ready to make runs in order to assist the giant Swede. Mkhitaryan and Martial assume the role of the wingers. Anthony Martial is better used a striker, but his explosive pace can be made of great use while running down the left wing. If for some reason, Zlatan is injured, then Martial can assume the striker role – with Depay or Young taking over the left wing. Basti and Schneiderlin have to play a more central role, and should attack with the team. Wayne Rooney is the main man here, playing as an attacking midfielder. This is a role that he is familiar with, although Jose might be reluctant to play him here. Juan Mata could replace Rooney in this role as he is an attacking midfielder. But Mourinho did sell him from Chelsea as he didn’t perform well defensively – so it is uncertain whether the Spaniard will stay with United at all. The back 4 is pretty standard here, with Darmian and Shaw playing as the fullbacks – given that Shaw will be fit by the start of the season. Valencia could be used as a right back, but it isn’t the smartest of moves as it has been attempted before. Jose might have to promote some fullbacks from the Youth squad, or he could get one from the transfer market. The 4-2-3-1 formation has been the favored setup of Jose Mourinho for the past years. He likes this formation as it provides a great attacking trio in midfield, and a defensive midfield pair. “Park the bus” was invented with this formation as the basic frame. With Manchester United, Zlatan can be the lone striker up front and Rooney can assume the No.10 role – a position that he played under Sir Alex. This formation brings plenty of promise, with Mkhitaryan and Martial in the midfield – playing as attackers. Martial and Mkhitaryan have the freedom to cut in and shoot on goal, or they could focus on assisting the main man – Zlatan Ibrahimovic. Wayne Rooney should be happy in this position as he has the license to attack and also defend when needed. If Rooney and Zlatan are both in the box, then there will be a huge chance of finding the back of the net. Basti and Schneiderlin will form a more defensive partnership, and will work to help the back four when needed – effectively making a 6 man defense when necessary. This is the reason that the “park the bus” tactic can be effectively deployed using this formation.